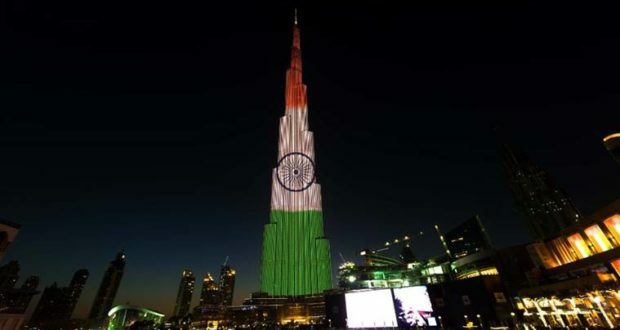 On the eve India’s 68th Republic day, the world’s tallest building, Burj Khalifa, lit up on Wednesday night in tricolours – saffron, white and green. The building, which stands at 823 metres, was named in honour of the ruler of Abu Dhabi and president of the United Arab Emirates Khalifa bin Zayed Al Nahyan. Dubai is one of the seven emirates of the UAE. Crown Prince of Abu Dhabi Mohamed bin Zayed Al Nahyan will be the Chief Guest at the Republic Day parade on Thursday. Meanwhile, India and the UAE today signed a strategic partnership agreement and nearly a dozen pacts in key areas such as defence, trade, security, cyber space, and energy. Prime Minister Narendra Modi on Wednesday extended his best wishes to Abu Dhabi Crown Prince Mohammed bin Zayed Al Nahyan for his country’s continued support to India. PM Modi said, the two leaders have agreed to sustain the momentum of its relations in key areas, including energy and investments. 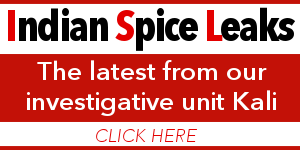 The two nations inked 13 pacts including one on strategic cooperation. The Crown Prince is in India and is the chief guest at the Republic Day celebrations to be held on January 26. 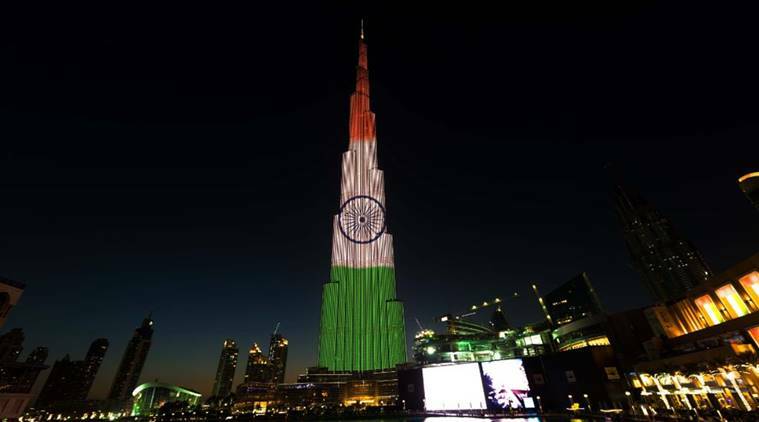 #BurjKhalifa wishes The #RepublicOfIndia a Happy National Day. If you’ve missed the first show, stay tuned at 7:15 pm for the next show! Speaking at a joint press conference, Prime Minister Narendra Modi said earlier in the day he discussed trade, terrorism, Islamic radicalization as well as threats in the region. “UAE is one of our most valued partners and a close friend in an important region of the world… We are working to connect the institutional investors in UAE with our National Investment and Infrastructure Fund,” Modi said, expressing gratitude to the UAE Crown Prince for taking care of Indian nationals living in the UAE as well as for granting land to build a temple in that country. “We also feel that our growing engagement in countering violence and extremism is necessary for securing our societies,” he added. Previous #BollyGossip Are These Two Rekindling Love?